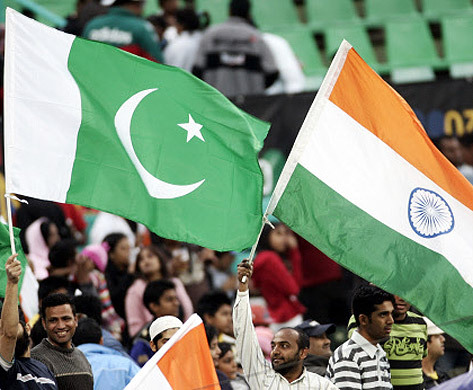 So, India beat arch rivals Pakistan in the semi finals of the 2011 Cricket World Cup at Mohali today. The whole country is celebrating except a few jealous Hockey and Soccer fans. If any of them is left that is. This is a fictitious conversation between me and a critic who is upset with the step motherly attitude towards all other sports in the country. It is a follow up to my previous post on the same subject, ‘Cricket mein haar aur desh pe waar.” The previous one was written with better facts and arguments so do read it. Him: Basically cricket over shadows every other game in the country and that’s unfair. All teams are playing for the same country, whether it is soccer or hockey, then why different enthusiasm when India wins in Cricket but no value when we win in other games? Did you even know in recent time we won a football match too against Pakistan with 3 -1. No body knows, no body celebrates. I really didn’t know so I found out. Here are the facts: At the start of this year, Indian soccer team qualified for 2011 AFC Asia Cup after 24 years. They lost all matches. This was followed by qualifying matches for 2012 AFC Challenge Cup. It was in these qualifying matches that on 23rd March 2011 India faced and defeated Pakistan by 3-0. After 3 matches (2 wins and 1 draw) India has now qualified for the AFC Challenge Cup. This is all great. I am happy for India. But can this in anyway match up to the excitement and the joy the nation faced today after India defeated Pakistan at the world cup semi finals. It is unfair to even compare the two. Me: Ok, I hear you. And this is not new, this debate has always been there. And am all for cricket. I think the attention cricket as a sport and its players get wasn’t served on a platter to them. The team performed consistently to earn it. In other sports India don’t perform, so no attention, isn’t it simple? Him: No, don’t undermine their achievements, they do perform, in fact they probably put in more hard work than any of the cricketers do to even achieve a bit of success because success don’t come easy in Soccer. With over 180 countries playing soccer it takes a lot of effort to even get recognized as a team and our team does put that effort, its too bad that you don’t care to know that. How many countries play cricket? Not more than 18 I think. He: But what I am saying is that we could do better if the system would give us better pay, better opportunities and better facilities. Me: Now that is the vicious circle of what came before? The chicken or the egg. Our soccer / hockey teams are underperformers so they don’t have enough money and media attention. And they are underperformers because they don’t have money and media attention. You can never fully answer this question which came before? We live in a capitalist society, money fetches more money and money fetches success and success fetches money. Yet in the true spirit of hard work it has always been said that money is never the reason why you cannot succeed, as long as you have the zeal in you, you give your best. Him: Its not just about the money, what about the facilities? We need better coaches, better practicing grounds, better opportunities and the Government have to provide us with that. The Government should not discriminate between two sports. There are 54 African football playing nations out of which 6 qualified for the 2010 FIFA cup, these were Algeria, Cameroon, Côte d’Ivoire, Ghana, Nigeria, South Africa. Do we fully know what kind of swanky facilities and money are being showered upon these teams by their government? Are we going to give the credit of their performances in the FIFA cup (fact that they even qualified is an achievement) to the facilities and resources their Goverment gave them or will we give the credit to the sportsmanship, the zeal, courage and determination of the players? If we learn anything from the film Chak De India it is that instead of whining and cribbing about the money and the attention you didn’t get, just put your 100% and perform. The day you perform the world will no longer be able to ignore you. After the success of Chak De, last year we did put our focus on our national game, hockey. We hosted the 2010 Hockey World Cup, corporate money was pumped into the game, Hero Honda gave us the slogan, “Phir dil do Hockey Ko.” Stars from Bollywood to Cricket were roped in for the campaign, the nation’s youth followed with much excitement – what did we get – poorest of poor performance by Indian hockey team they ranked 12th (3rd last) in the tournament. Didn’t even play the quarter finals. Such abysmal performance by the Indian hockey team or football team is utter shame and we are supposed to empathise with them? How are we supposed to feel anything but embarrassment for such performance. Why are we then blamed for celebrating the glorious victory India achieves over the cricket playing world. The above argument didn’t have a logical conclusion. Even though it was never really put in proper words, what the critic meant to say was that there is a need for Government’s affirmative action to lift the conditions of sports like soccer and hockey in the country. I agree with this in spirit because I am a pro affirmative action person. For those unfamiliar with sociology terms ‘affirmative action’ means ‘reservation.’ Reservations or other forms of affirmative actions are required for people and causes which are systematically oppressed, for example, women and dalits. I am not sure if sports fall under this category. But I can say this, the government’s support could have helped our hockey or soccer team’s performances if, on a scale of 10, they were at least at 4 or 5. With the current performance level being at ZERO I doubt anybody can help them. The reason why indians are poor in soccer there are no proper grounds in india to play or promote the game, io believe there are many africans in india why dont the coaches put them in the indian team, the country need some colour not only indian, indian i am a South African indian living in SA. Wake up india. I did’nt read the whole article bcoz of what i read in the top half.So let me get this straight, u r saying we should support cricket as we r successful in it and forget about other sports bcoz they are not.One more thing is that, If we r not going to support our OWN team then who will. Why you have left out India’s Silver in Commonwealth Games and Bronze in Asian Games in men’s field hockey in 2010. They are sporting standard wise much ahed of winning Cricket World Cup. In terms of world participation index, qualifying for World Cup Hockey is equal to playing final of World Cup Cricket. Actually, we are most uncultured sporting nation as compared to any leading nation. Most of the leading nations still identify India in terms of hockey but it really needs a stupendous efforts to make them understand “CRICKET”! Finally, I am an avid Cricket fan but I do have love for any sport.